Preschools can now apply for a share of a $10 million investment to improve the learning environment of their service, the Member for Oxley, Melinda Pavey announced today. 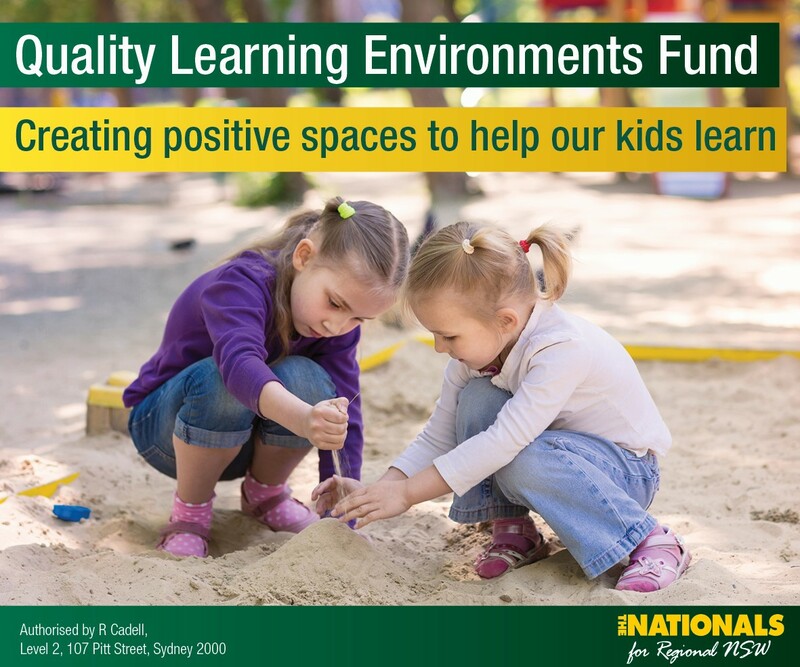 The boost of funding is the second instalment of the NSW Government’s Quality Learning Environments program, which was introduced earlier this year to enhance the physical environment of community preschools. Mrs Pavey said the Quality Learning Environments program has already seen strong take-up. “In this new round, grants of up to $15,000 can be used for specialised educational programs and practices like music lessons, dance classes, or physical play activities along with physical enhancements,’ Mrs Pavey said. Minister for Early Childhood Education, Sarah Mitchell MLC, said the NSW Government listened to feedback from the sector and broadened the scope of the program. This funding follows a suite of initiatives announced by the NSW Government this year for early childhood education, including the extension of Start Strong funding to cover two years of community preschool for our children, an additional investment of $42.1 million for more Capital Works Grants and Drought Relief Payments for services that are struggling. All community preschools, including mobile preschools, are eligible to apply for the Quality Learning Environments grants. Further information including application details is available on the Department of Education’s website.